I grew up watching tons of TV every single day. Later on, I realized that this was not the healthiest way to spend a childhood, so I rigorously monitored our children’s TV use. Tigger didn’t watch any television until she was 2 (per the AAP recommendations). Somewhere between my third and fourth pregnancy, though, I discovered something wonderful: TV is seriously awesome for kids! So these days, I don’t hesitate to use TV as a babysitter. In fact, it actually seems to be making me a better mom! Here’s how. TV is a super educational supplement. Depending on the topic, sometimes the TV actually does a better job of teaching something than I do. The kids and I watched a six-minute video about ancient Egypt about a week ago and they remembered more from that than they did from a week-long lesson I did about it a while back. Sigh. The kids discover new interests. Kids have a way of wanting to discuss the exact same thing every single day for eternity, so it can be tough to get them to break out and try something new. Enter TV! When the kids and I watch a good kids’ program, they always learn about something they didn’t know before and that usually leads to a brand new unit study topic they’d never have found before. I need a break. For real, sometimes I just turn on the TV and go into emergency shut-down mode. The kids get to watch a show or two and I get some much needed quiet time. Does it make the kids want to learn? If the answer to all three is yes, then it’s a keeper. One of my kids’ all-time favorite shows is Wild Kratts . They are seriously fanatics of that show. They get so excited as they learn about animals, plus they love Chris and Martin’s hijinks, so it’s a win-win. These are the kinds of kids’ shows that make excellent babysitters. So, yes, I use TV as a babysitter and (with supervision) it’s doing an awesome job with my kids! How about you? 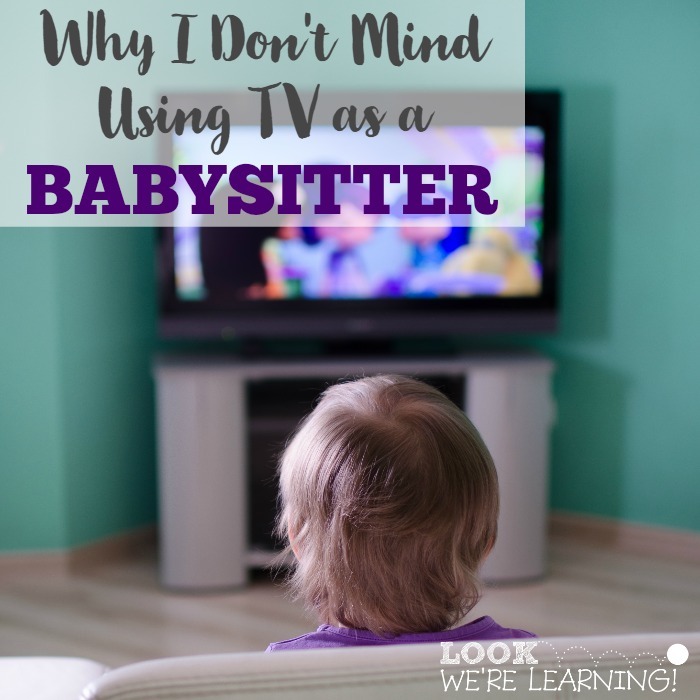 Do you use TV to “babysit” your children? What are your favorite kids’ shows? Share your tips in the comments! For more parenting tips, check out my Parenting with Joy Pinterest Board! 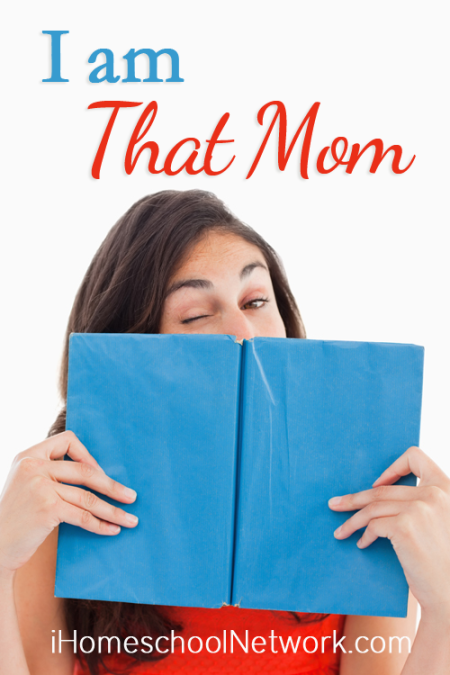 This post is part of the “I am That Mom…” linkup from iHomeschool Network! Click over to read about how my fellow bloggers manage motherhood! And if your homeschooling motivation is somewhat…lacking these days, reinvigorate your mojo with this wonderful homeschooling ebook! 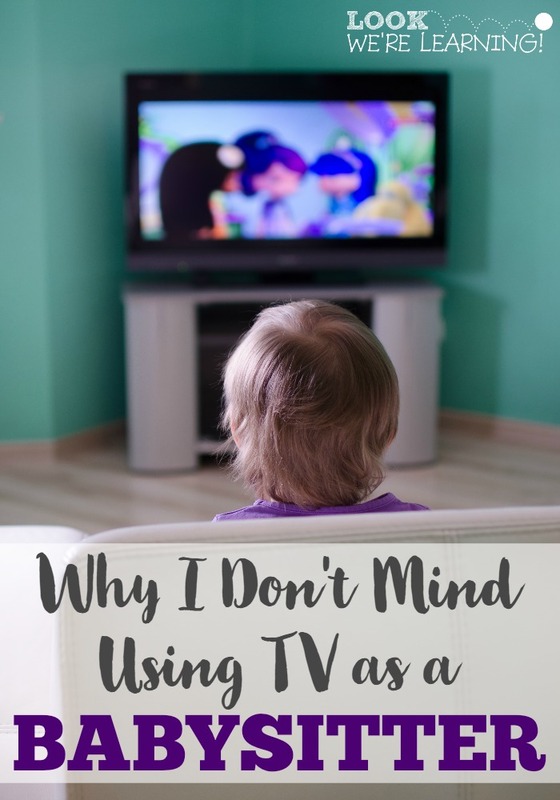 I love this post 🙂 I always had the TV on too growing up – usually a lot of sports! But now that we truly “control” what we watch, it is great. Wild Kratts is a favorite here too, along with several PBS shows (including the new Ready Jet Go!) And we watch tons of cooking shows! While we have had programs we have had to reject, for the most part the TV has been our friend. Yes! We love Wild Kratts, The Magic School Bus, Bill Nye the Science Guy and most anything on Nat Geo or the Science channel! I know! Television is not all evil. It’s just becomes evil when it’s uncontrolled, mindless and for too long! In my son’s summer vacation time in fact he was allowed to watch every freakin evening! The only rule was not before 7pm- so there could be some control.Now that vacation time is over- I’ve switched back to watch on holidays only rule. phew. I don’t think that television is at all a bad thing. I personally grew up watching it every single day, and I think I turned out fine. I love to learn and to read, and TV did not by any means “melt my brain.” I also use TV as a babysitter for my son. He LOVES watching Super Why, and I love it because it gives me some free time to clean or take a shower while he sits and learns. He’s getting to that stage where he can sound out letters, so this show is actually helping him to do those things! I will admit that we let him watch some of our grown up movies…but never alone…it’s usually right before bed when we all sit together as a family. But that is something that I love do to anyways, so why not start that tradition now?